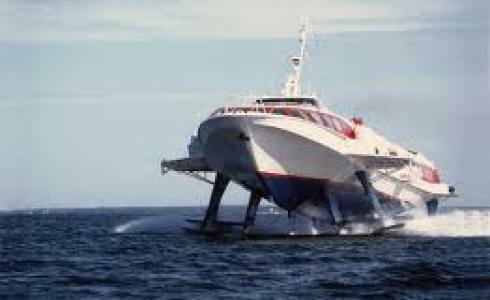 The eastern Aegean island of Samos will be linked with the Dodecanese islands to its south through hydrofoils. Samos’ port of Pythagorio will be linked with Kos every Tuesday, Wednesday, Friday and Sunday with stopovers on the islands of Patmos, Leros and Kalymnos, while hydrofoils will also service the islet of Agathonissi twice a week. After June 16, the route will be serviced more frequently. Local entrepreneurs have also begun contacts with Turkish counterparts ahead of the new coastal shipping route linking Seferihisar, near Izmir on the Turkish coast, and Carlovassi on Samos. A catamaran will make the two-hour voyage between Samos and Seferihisar, linking the eastern Aegean island with the five-million-people-strong tourist market in the greater Izmir region. This new connection will give a major boost to these Greek islands’ tourism since many Turkish people choose them to spend their summer vacations. Especially after the Greek state’s decision to simplify the Visa process, more and more Turkish tourists have visited Samos, Kos and other Greek islands.